Range Rover L322 Offside Drivers Side Wing Vent TrimGood used conditionNo cracks or damage.. Range Rover L322 Offside Drivers Side Wing Vent Tr.. Range Rover L322 Offside Front A Pillar External Trim DCB500162Good used conditionSome marks from us.. Range Rover L322 Offside Front A Pillar External T.. Range Rover L322 Offside Front Brake Caliper And CarrierGood used working condition30 day warranty.. Range Rover L322 Offside Front Brake Caliper And C.. 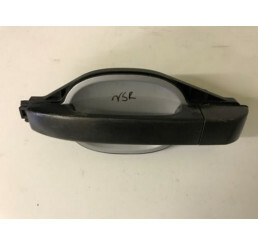 Range Rover L322 Offside Front Indicator HeadlightGood used working condition,No Damage to lense,Com.. Range Rover L322 Offside Front Mud Guard And Wing Trim SilverGood used conditionComplete lower wing .. Range Rover L322 Offside Front Mud Guard And Wing .. Range Rover L322 Offside Powerfold MirrorGood used working conditionSome paint bubbling as colour fa.. Range Rover L322 Offside Rear Interior Window TrimGood used condition,Complete with clips.. Range Rover L322 Offside Rear Quarter Trim D External PillarGood used working conditionSome marks fr.. Range Rover L322 Offside Rear Quarter Trim D Exter.. Range Rover L322 Offside Wing BurgundyGood used conditionNormal wear marks from use and storage.. Range Rover L322 Offside/Drivers Rear Light XFB000248Good used conditionComplete with bulb holdersNo.. Range Rover L322 Offside/Drivers Rear Light XFB000.. Range Rover L322 Offside/Drivers Side Rear Brake Caliper 4.4 V8/TD6Good used working condition30 day.. 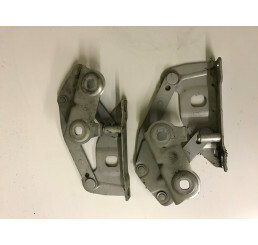 Range Rover L322 Offside/Drivers Side Rear Brake C.. Range Rover L322 Passenger Front Seat Switches YUB500450PUY61.31-7 069 619Please check current part .. Range Rover L322 Passenger Front Seat Switches YUB.. Range Rover L322 Rear Bonnet Grill With Screen Wash JetsGood used condition,Some Marks as shown in p.. Range Rover L322 Rear Bonnet Grill With Screen Was.. Range Rover L322 Rear Bumper Tread Plate 02-09Good used conditionSome marks and fading from use.. Range Rover L322 Rear Door Check Strap BFH760012Good used condition,Will fit 02-09 Range Rover L322.. Range Rover L322 Rear Door Speakers XQM000200Good working condition,Will fit Range Rover 02-06,Pleas.. Range Rover L322 Rear Light XFB000258Good used conditionComplete with bulb holdersNo damage to lense.. Range Rover L322 Rear Prop ShaftGood used working condition30 days warranty.. Range Rover L322 Right Hand Drive Centre Console Coin Tray Panel Trim FJV500180PVAGood used conditio.. Range Rover L322 Right Hand Drive Centre Console C.. Range Rover L322 Satellite Navigation ScreenGood used conditionWill fit 02-06 Range Rover L32230 Day.. 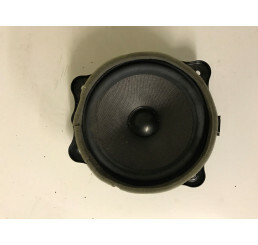 Range Rover L322 Satellite Navigation Speaker XQM000070Good used conditionNo damage to speaker.. Range Rover L322 Satellite Navigation Speaker XQM0.. Range Rover L322 Scissor Jack Wheel Brace, Chocks And Warning Triangle T71336Good used working condi.. Range Rover L322 Scissor Jack Wheel Brace, Chocks .. 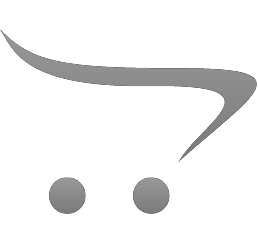 Range Rover L322 Scissor Jack, Lever And Wheel Brace 02-2012Good used working conditionComplete as s.. Range Rover L322 Scissor Jack, Lever And Wheel Bra.. Range Rover L322 Silver Bonnet HingesGood working used condition,Will fit L322 02-06 Td6 and V8.. Range Rover L322 Steering Wheel Cruise Control Buttons TRW61277422Good used working condition30 day .. Range Rover L322 Steering Wheel Cruise Control But.. Range Rover L322 Steering Wheel Radio Controls TRW61277400Good used working condition30 day parts wa.. Range Rover L322 Steering Wheel Radio Controls TRW.. Range Rover L322 Sun Roof Motor EGQ000010Good used working condition30 day parts warranty.. Range Rover L322 Td6 3.0 Diesel Air Conditioning Radiator JPW000020Good used working conditionWill f.. Range Rover L322 Td6 3.0 Diesel Air Conditioning R.. Range Rover L322 Td6 3.0 Diesel Radiator PCC000840Good used working conditionWill fit 02-06 Td630 Da.. 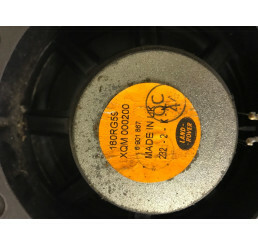 Range Rover L322 Td6 3.0 rear Blower Fan Motor JMB000130Good used working conditionPlease check curr.. Range Rover L322 Td6 3.0 rear Blower Fan Motor JMB.. Range Rover L322 Td6 3.0 Rear Offside Driveshaft TOB500330.. Range Rover L322 Td6 3.0 Rear Offside Driveshaft T.. Range Rover L322 Td6 Air Conditioning CompressorGood used working condition30 days warranty.. Range Rover L322 TD6 Engine Cover LBH000041Good used conditionNo damage to cover.. Range Rover L322 Td6 Engine ECU NNN000461Good used working condition,Will fit 02-06 Td6Please check .. Range Rover L322 Td6 Front Diff TBB000060Good used working condition30 days parts warranty.. Range Rover L322 Td6 Injector Loom N5880PbGood used condition,Will fit Td6 02-06Compolete with plugs.. Range Rover L322 Td6 Inlet Manifold Engine CoverGood used conditionAs shown in photo.. Range Rover L322 Td6 Starter Motor 2002 - 06Good used condition as shown in photo,Will Fit Td6 02-06.. Range Rover L322 Td6/ V8 Nearside Interior Window TrimGood used condition,Complete with clips.. Range Rover L322 Td6/ V8 Nearside Interior Window .. Range Rover L322 Td6/4.4 Near Side Rear External Door HandleGood used working condition,Complete as .. Range Rover L322 Td6/4.4 Near Side Rear External D.. Range Rover L322 Td6/V8 Near Side Rear Door GlassGood used condition,Will need cleaning,Collection O.. Range Rover L322 Td6/V8 Off Side/ Driver Side MirrorGood used working condition,Complete as shown in.. Range Rover L322 Td6/V8 Off Side/ Driver Side Mirr..